Combustion gases such as carbon monoxide, nitrous oxides and sulphur dioxide produced from gas appliances and unflued gas heaters are a health hazard. New energy efficient homes are most at risk if passive ventilation is compromised as these gases can build up to levels that could cause health problems such as asthma. Vehicle exhausts. More people die from breathing outdoor air in Australia, than they do from the road toll. Vehicle exhaust emit a concoction of toxic fumes including carbon monoxide (lethal), carbon dioxide, nitrogen oxides, carbon particles, particulates, black and elemental carbon, ultrafine particles (diesel), dioxins and hydrocarbons such as benzene. Several of these are known to cause cancer, exacerbate asthma and hay fever and can even trigger heart disease. This is why building biologists recommend a garage NEVER be attached to a home. Unflued and faulty gas appliances such as gas stoves, heaters and internal gas hot water services may emit nitrogen dioxide, sulphur dioxide, carbon dioxide, formaldehyde and carbon monoxide which may cause fatigue and drowsiness as well as flu like symptoms, coughs, colds, headaches, asthma and even death. They can also produce significant amounts of humidity into the indoor air mass which could provide ideal conditions for mould to grow. 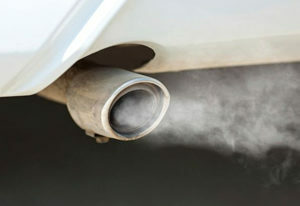 Oil Furnaces release carbon monoxide, and lead and produce similar air pollutants to what can be found in a car garage. Unvented kerosene and gas heaters cause an increased humidity and subsequent condensation problems, and the same sort of noxious gases as stoves. The effect is greater because they are used for longer periods of time. It is critical therefore that they only be used when they are adequately vented to the exterior of the building. Wood combustion fire places and stoves release a plethora of noxious agents including carbon monoxide, nitrogen oxides, cancer causing chemicals (polyaromatic hydrocarbons) as well as particles like ash and soot. They are known to cause both lung and heart disease especially in third world countries where they are commonly used. These can be ‘back drafted’ into a home from chimneys and flues that are improperly installed, blocked, leaking or damaged. In some cases, this could be fatal.